The Amazon Linux AMI is a supported and maintained Linux image provided by Amazon Web Services for use on Amazon Elastic Compute Cloud (Amazon EC2). It is designed to provide a stable, secure, and high performance execution environment for applications running on Amazon EC2. 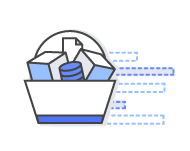 It supports the latest EC2 instance type features and includes packages that enable easy integration with AWS. Amazon Web Services provides ongoing security and maintenance updates to all instances running the Amazon Linux AMI. The Amazon Linux AMI is provided at no additional charge to Amazon EC2 users. The Amazon Linux AMI includes packages and configurations that provide tight integration with Amazon Web Services. The Amazon Linux AMI comes pre-installed with many AWS API tools and CloudInit. 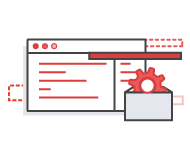 AWS API tools enable scripting of important provisioning tasks from within an Amazon EC2 instance. CloudInit allows passing instance configuration actions to instances at launch time via the EC2 user-data fields, enabling remote configuration of Amazon EC2 instances. The Amazon Linux AMI is available in all AWS regions. See the supported Amazon Linux AMI image and instance type combinations for more information. The configuration of the Amazon Linux AMI enhances security by focusing on two main security goals: limiting access and reducing software vulnerabilities. The Amazon Linux AMI limits remote access capabilities by using SSH key pairs and by disabling remote root login. Additionally, the Amazon Linux AMI reduces the number of non-critical packages which are installed on your instance, limiting your exposure to potential security vulnerabilities. Security updates rated "critical" or "important" are automatically applied on the initial boot of the AMI. Upon login, the Message of the Day (/etc/motd) indicates whether or not any additional updates are available. The Amazon Linux AMI includes packages and configurations that provide seamless integration with Amazon Web Services. This allows the Amazon Linux AMI to launch and work with various AWS services out of the box. The repositories are available in all regions and are accessed via yum. Hosting repositories in each region allows updates to be deployed quickly and without any data transfer charges. Security updates are provided via the Amazon Linux AMI yum repositories as well as via updated Amazon Linux AMIs. Security alerts are published in the Amazon Linux AMI Security Center. For more information on AWS security policies or to report a security problem, please visit the AWS Security Center. By default, the Amazon Linux AMI includes a small set of services, utilities, and tools for integration with AWS. The Amazon Linux AMI is designed to provide a functional base, allowing you to add on (via the package repositories) additional utilities and services. Starting with a smaller base of packages means there are fewer components to maintain, as well as less surface area for security exploits. Support for installation and use of the base Amazon Linux AMI is included through subscriptions to AWS Support. For more information on AWS Support please visit the AWS Support web page. Older versions of the AMI and updated packages will continue to be available for launch in Amazon EC2 and for installation from the Amazon Linux AMI yum repository even as new Amazon Linux AMI versions are released. However, we encourage customers to move to, and to use, the latest version of the Amazon Linux AMI in order to ensure the best customer experience that we can provide. The Amazon Linux AMI is provided at no additional charge to Amazon EC2 users. Standard Amazon EC2 and AWS charges apply for running instances and other services.